Red oak. Really lives up to its name in fall. 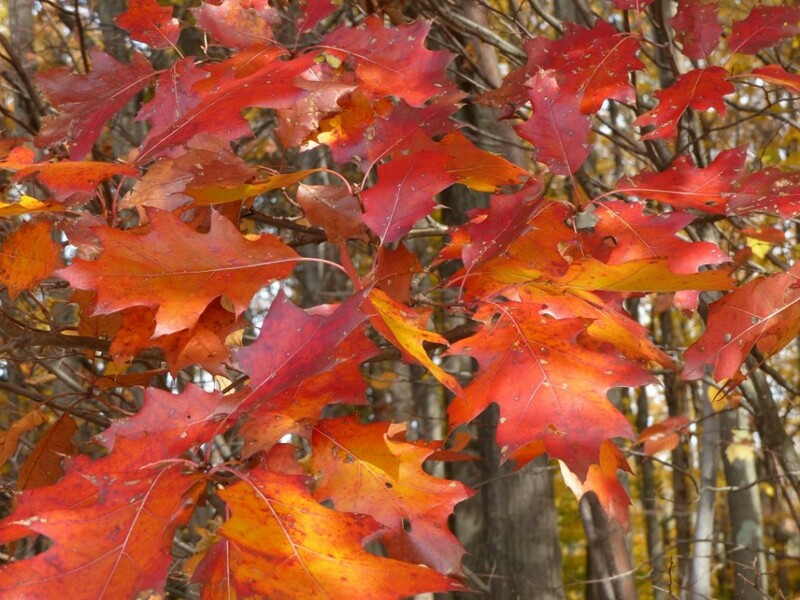 Late in the season, the red oaks are on fire. The oaks are important trees for wildlife, of course. Everyone knows squirrels eat acorns, but acorns are high-protein food for an astonishing number of animal species: blue jays, wild turkeys, black bears, wood ducks, opossums, woodpeckers, red and gray foxes, rabbits, white-tailed deer, and many more. 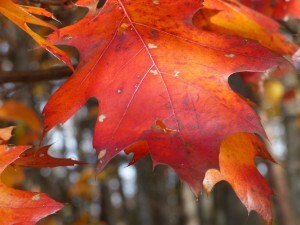 But a close look at oak leaves shows their other, more subtle, contribution–to the insects. All those thousands and thousands–millions!–of little bumps, nibbles, gnawings, holes. 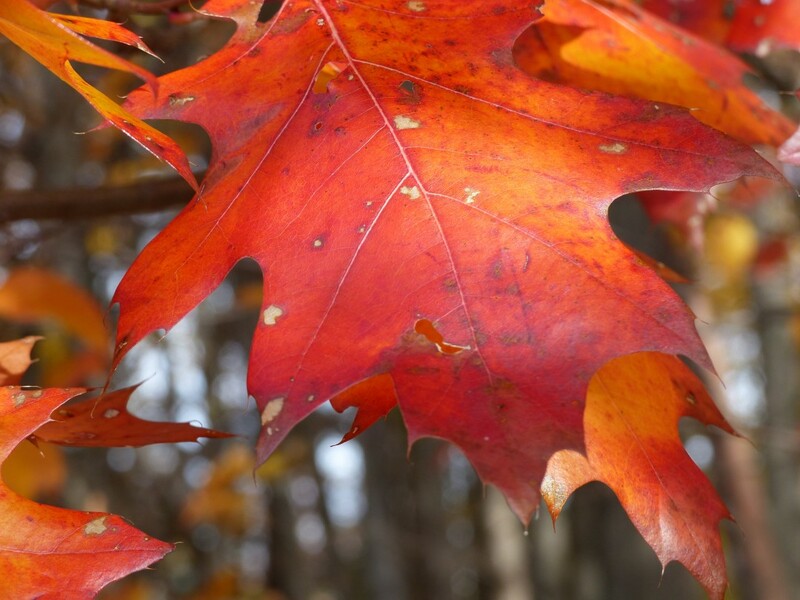 Thousands of species of insects eat oak leaves, create galls on oak leaves, and lay eggs on oak leaves. Holes and unsightly bumps on the leaves, yes. But that’s okay. Holes in leaves now means food for hungry birds in spring.